The past week's been pretty tiring. In addition to the fact that it's the back-end of the term (otherwise known as EXAM SEASON), there's been a super typhoon hovering over the Philippines since Saturday. I've been watching the news nearly the whole weekend, and it's kind of heartening to see the LGUs scrambling to protect their people. They suspended classes in most cities today, even if the storm's mostly in the Actual North. This has knocked everyone's academic schedule into major disarray and I'm happy they didn't have to suspend class last Friday, as most of the Writer's Guild activities have already had to be canceled because of the long weekends. . :)) But that's nothing next to the flooding and disastrous mudslides happening in the more affected areas. It's always sobering, seeing how badly a storm can wreck us. 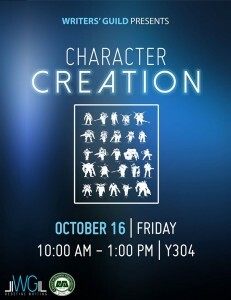 Other than the terrible storm, the WG had a pretty cool Character Creation seminar last Friday, and my buddy Matthew did the whole thing. 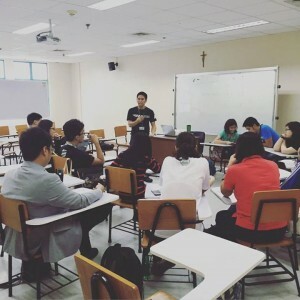 He based it on the framework of 5E, and I really think the students got a lot out of it. The Writer's Guild's been doing a lot of cool things this term, and I'm really glad to be part of it. And then there was the Duckpocalypse. The less said about this, the better. Everyone who's my friend on FB is probably all ducked out. 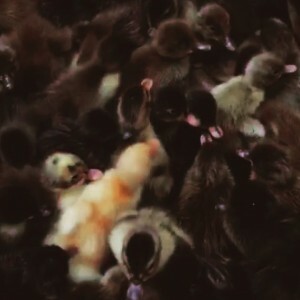 Hell, I'm totally all ducked out. 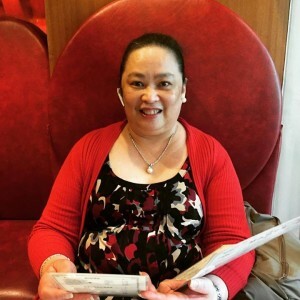 Got to hang out with Leanne, my cousin, and have a nice evening pre-celebrating mum's birthday at Genki Sushi (check out this short vid she made). :) Genki Sushi's becoming a thing for us now. A delicious, delicious thing. 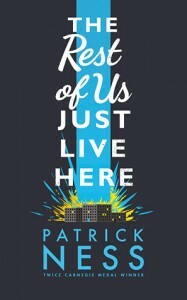 The Rest of Us Just Live Here by Patrick Ness was a lot better than I thought it would be. I have been burned by interesting YA concepts that were executed poorly, but this seems to have been written with a lot of care. Ness shows us a town where "the indie kids" have to fight off untold evil/drama almost every year, meanwhile, everyone else just has to deal with the side effects of living in someone else's story. If you liked the Buffy episode "The Zeppo", you should probably give this a chance. Like that episode, The Rest of Us focuses on the side characters of a typical YA novel: the unpowered, unChosen, and supposedly, uninteresting. But Ness manages to hook us and reel us in even if we're dealing with people on the fringe of the plot. I found it very difficult to put the book down as it was very, very engaging. It's definitely convinced me to give the rest of Ness' stuff a try. Fulgrim (Horus Heresy #5) by Graham McNeill It's taken me two years to get this far in The Horus Heresy. Unlike the sheer delight I had in the Ciaphas Cain series, The Horus Heresy novels haven't been consistent for me, in terms of quality. Not only that, but almost every book takes so long to warm up. The good thing about it though is that when things do warm up, usually when everything is going so badly that it's taking on car-crash-can't-look-away levels of terrible, it reminds me why I'm slogging through this painful series. 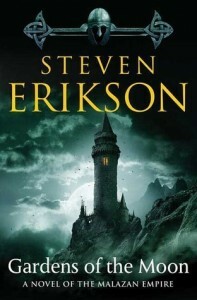 This book focuses on the part of The Emperor's Children, a legion I honestly don't have good associations with as per the previous novels (EIDOLON. LUCIUS. EIDOLON. ), in this whole mess. I did latch on to several characters, marking them for death, disappointment, and betrayal, but everyone was mostly repellent. I'm sure that was the goal of the author, so congratulations on writing such horrible people that they make my skin crawl, but ugh, Slaanesh cultists disgusted me in The Beguiling and in The Traitor's Hand and they're so horrible I cannot handle them all. I'm gagging just thinking about it. The overblown, purple prose characteristic of THH makes it worse in my opinon. :C ugh. 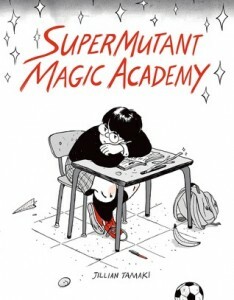 Supermutant Magic Academy by Jillian Tamaki thrilled me. I've been following the tumblr for a few years now, and I'm so glad that it has a print copy! (There's quite a bit of new content, in case you're wondering if you should bother getting a copy over just reading the webcomic.) I bought it a couple months back, but I put off reading it in favour of saving it for a rainy day, and lo and behold, Luzon's been in the grip of a super typhoon. Smashed through the entire thing last Saturday after a trying couple of hours herding literal ducklings, and I was so refreshed and emboldened by the experience that I messaged as many people as I could to go and buy it. Tamaki's art is probably better in her other published work, but that's totally beside the point, as each comic is such a jewel that i'm mostly convinced that I should use them as reaction images for everything. Everything! 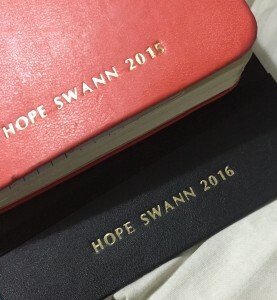 What a good book. 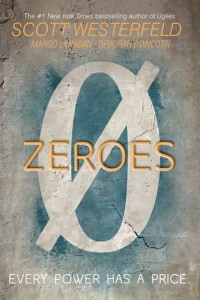 Zeroes (Zeroes #1) by Scott Westerfeld, Margo Lanagan, Deborah Biancotti was energetically recommended by my friend Josh! Since I'm a Westerfeld fan, mostly of the Leviathan series though, I had to see what the fuss was about. It's got an interesting twist on a familiar premise, teens-with-powers but WAIT they're social-based powers, and the writing is serviceable enough to make it work. However, it's written by three people, and sometimes that really shows because there's a lot of unevenness in the style and flow of the story. There are multiple PoV shifts across the main characters, and they work well, some of the time, but mostly I felt jarred whenever this happened. I liked the character interactions, and the way they have a history, albeit an informed one, and the authors manage to keep a lot of elements together in order to tell a decent team-comes-together origin story. I hope that the style inconsistencies get resolved in the succeeding books, because I kind of dig the world a lot. I definitely want some explanations about why the kids actually have these powers, but I'm sure the authors will address that eventually.